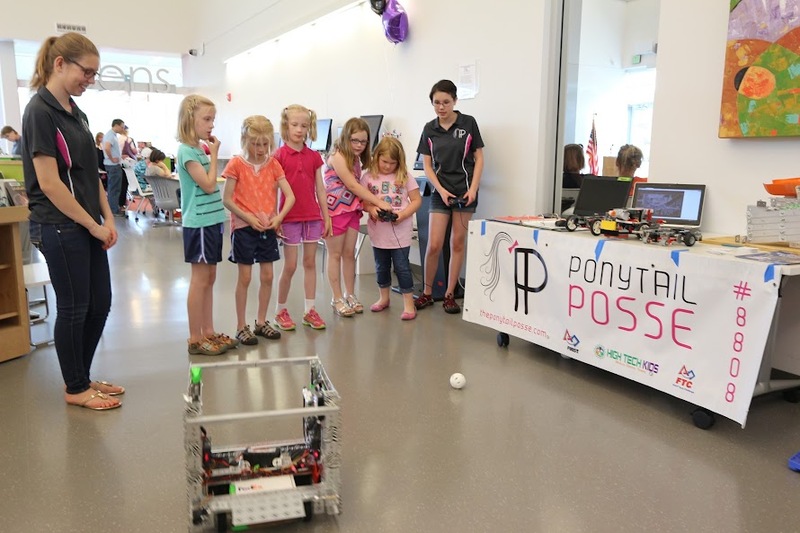 Today, we had the amazing opportunity to show our robot to kids at our local library’s summer kickoff. We set up an interactive booth to spark the interest of young kids and teens about robotics. Not only did we explain the game and what teams do in robotics, but the kids were able to try running our robot! We showed them how the controls worked as well as the strategy to pick up the rolling balls. Watching these kids learn test drive the robot was such a blast and very rewarding. It was so much fun to see these kids interested and excited about joining a robotics team. By showing them how to operate the robot, we were able to intrigue them about what robotics is and how they can join. We educated both the kids as well as the parents about how the tournaments works as well as the explained previous game challenges. The parents were as excited about robotics as the kids were.